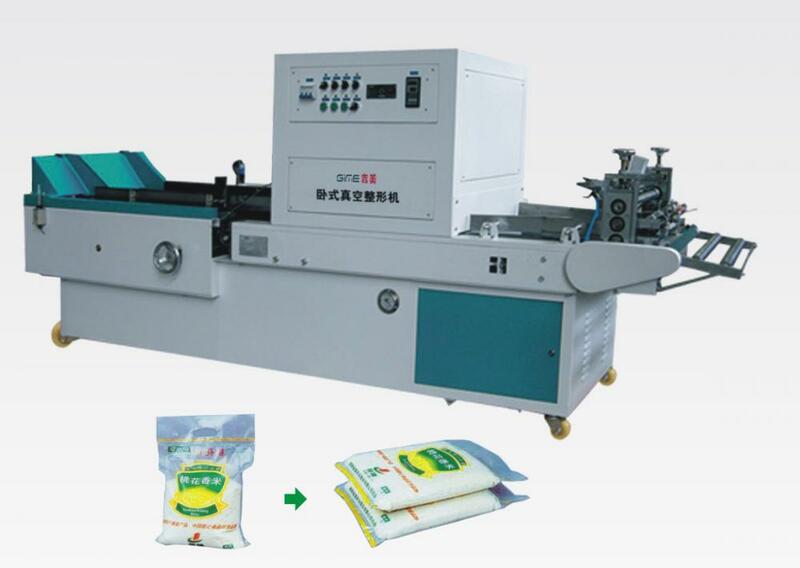 Scope of application: it is suitable to vacuum and shape automatically for particulate material like rice and food. It is much better to matching with the multifunction electronically quantitative weigher or the sack filler that you use now. the programmable automatic controller of German Siemens can control the whole process of transferring, shaping, sealing and transferring of the finished goods. It is very easy to operate. The Japanese omron photo-electrical detecting thermostatical control and electronic switching element with the import air activator have high stable property. The packaged material processed by this kind of machine has the features of fleshing and quality guaranteed as well as neat. It can work with any kinds of packing equipment. Looking for ideal Vacuum Packing Machine Manufacturer & supplier ? We have a wide selection at great prices to help you get creative. All the Rouch Packing Machines are quality guaranteed. We are China Origin Factory of Vacuum Packaging Machine. If you have any question, please feel free to contact us.